Head of the Severn: Composite Success! 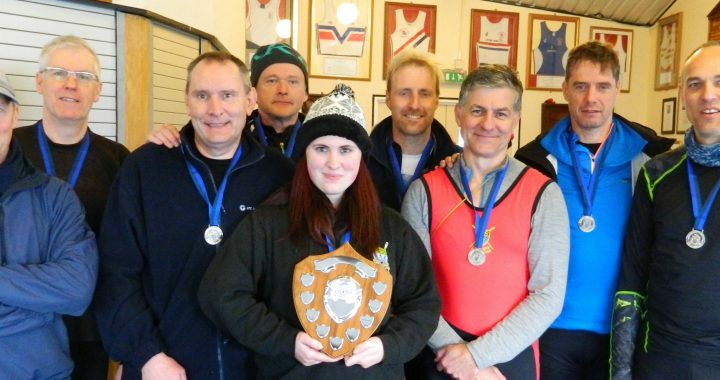 Stratford upon Avon Boat Club commenced their winter eights competition season with a first competitive race outing at Worcester on Sunday with the Head of the Severn. The event raced, over the long six kilometre course, was held in perfect conditions with only a head wind to disrupt proceedings. The event which is organised by Worcester University and predominantly aimed at Senior and university crews nonetheless attracted a good quality Masters entry eager to try out new combinations for the upcoming season with an eye on the 2019 Vesta Veterans’ International Eights Head of the River Race event in London in March. Stratford rowers Gary Clay, Richard Nelson, Simon Beard and Tom Doherty competing in a combined crew with representatives from Midland clubs with Jon Martin from Warwick and Paul Wallis, Rob Graham and Tim Grimsdale from Bridgnorth were up against good opposition from Pengwern with two fancied crews, including last year’s winners, and local club Worcester who were aiming to put down a season marker with a big experienced crew. Setting off second in their event behind Worcester the Stratford composite crew stroked by Paul Wallis made a powerful start rating 34 strokes per minute to close down Worcester over the first kilometre and put the local club under pressure. However Stratford’s real race turned out to be against last year’s winners Pengwern following behind them. 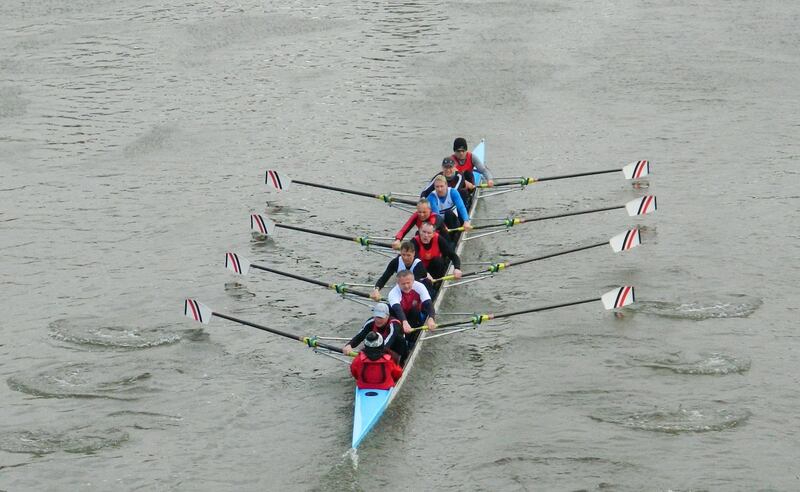 The Stratford composite crew, settling into a rating of 32 strokes per minute, managed to gain a small advantage at the nine minute timing point of just three seconds over Pengwern. The next section proved the best of the race for Stratford who managed to increase their lead at the fifteen minute timing point to eight seconds. However the last quarter of the race proved extremely tough with Pengwern increasing their effort and Stratford working hard to maintain their rhythm and pushes right up to the finish line. The necessity of maintaining their rhythm and final push was borne out by an extremely close finish with the Stratford/Bridgnorth/Warwick crew winning in a time of twenty minutes and thirty two seconds, just four seconds ahead of Pengwern who finished in a time of twenty minute and thirty six seconds, an extremely close finish for a six kilometre race. Posted in News and tagged Bridgnorth, Head of the Severn, Pengwern, Warwick, Worcester University.